The way people are buying, the people who are doing the selling and the typical sales process are all changing. With these changes some sales managers have been adopting the Agile sales methodology. While this particular methodology is not an entirely new approach to management, it’s rather a recent import into the world of sales. The driving force behind the switch to this new sales force management system is the massive influx of millennial hires in the sales industry and an unprecedented amount of data. Unlike older salesmen who thrive under traditional management styles such as the waterfall methodology, millennials are resistant to such a long-term, top-down system. Younger employees do their best when they are given a fair amount of independence to control how they work, along with ample opportunities to collaborate with others. Luckily the Agile sales methodology allows for these preferences. What is the Agile Sales Methodology and What Are the Benefits? The core principles of the method are based on creating short-term goals and working independently to reach those goals while still having adequate collaborative support and feedback from the rest of the team. Due to the short timeframe for each target, Agile sales management gives employees the ability to address changes rapidly, alter their immediate goals to reflect these changes, and incorporate real-world results and feedback from their team instead of blindly following a plan created months, or longer, in advance. 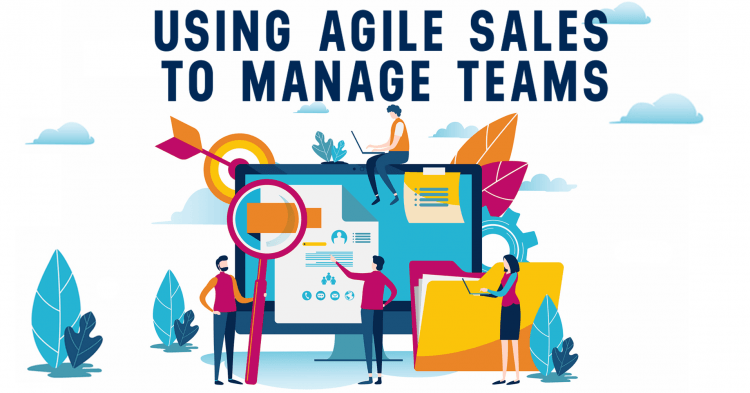 Effective Agile sales management depends on five key aspects: holding quick daily meetings, creating short-term personal goals, being flexible when it comes to making changes, holding yourself and others accountable, and designing measurable metrics. Establishing short-term goals is the linchpin of the agile sales methodology, and are also commonly referred to as ‘sprints.’ Long-term objectives are broken down into smaller, more realistic short-term goals. Each of these sprints may be as short as a day but rarely exceed a month. Breaking down daunting objectives into reachable goals helps to keep employees motivated and on track. The flexibility of having short-term goals makes it easy to reassess and pivot from one objective to another as opposed to being locked into a plan which was set in stone by a higher-up. This built-in adaptability of the system is particularly helpful when there are significant changes to either the marketplace or the direction of the business which requires an almost instantaneous reaction. While the agile sales methodology offers much more independence and flexibility than other management frameworks, team members and managers still need to know what and how everyone is performing. That means that the company’s CRM technology becomes even more critical. Staff needs to record every single customer interaction in the CRM system. For millennials who were raised on high tech, this isn’t an issue, but it can be for older employees. It’s important to come up with your goal first then work backwards to determine the best metrics to use to analyse progress towards the goal. With the proper implementation of the Agile sales methodology, businesses can start to use data to better gauge the progress of their team. 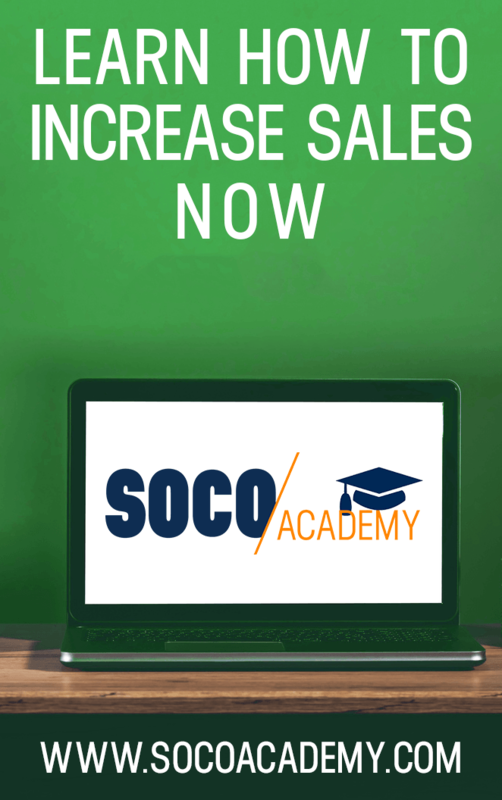 Here at SOCO Sales Training we find the Agile Methodology to be an important part of today’s Sales Force Management. Much of the methodology aligns with our own Management Mastery system which includes the importance to track output as much as outcome and it incorporates very well with Consultative Selling. Whether you incorporate Agile sales fully or not, make sure to start tracking small metrics to determine the efforts of your team, hold regular sales meetings to create a ‘team dynamic’ and of course, use a CRM!